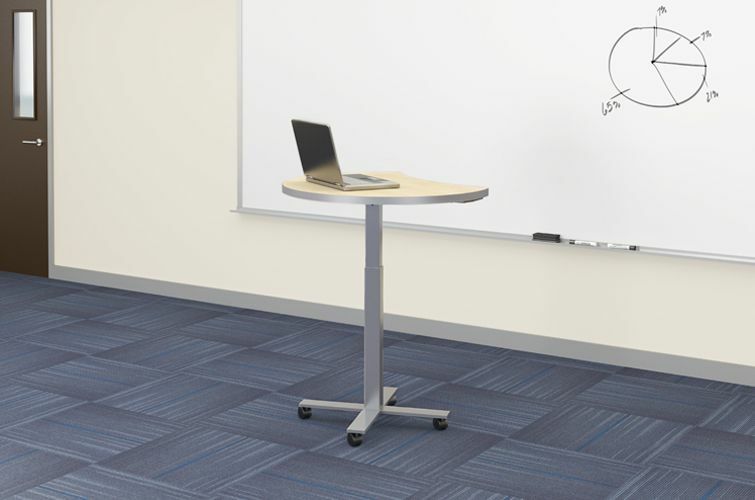 Adjustable height Influence tables were designed to meet the need for adaptable work, learning, and meeting spaces. 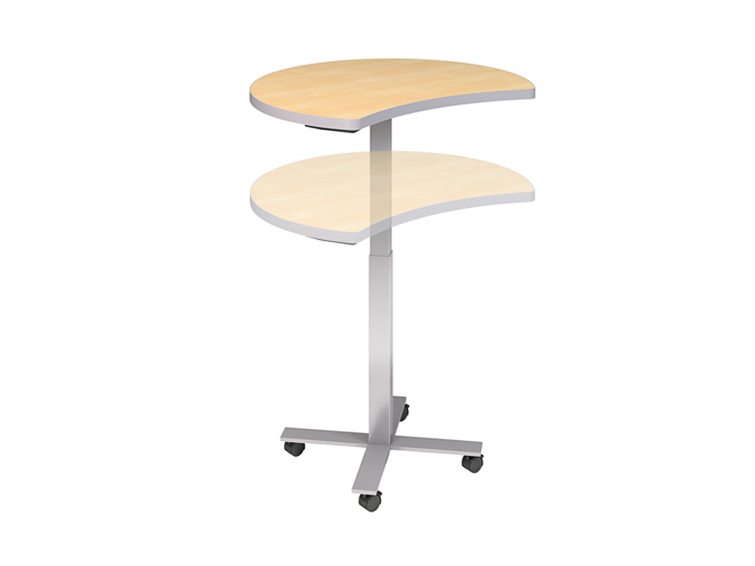 With a variety of options, there is sure to be an Influence table that meets your needs and budget. 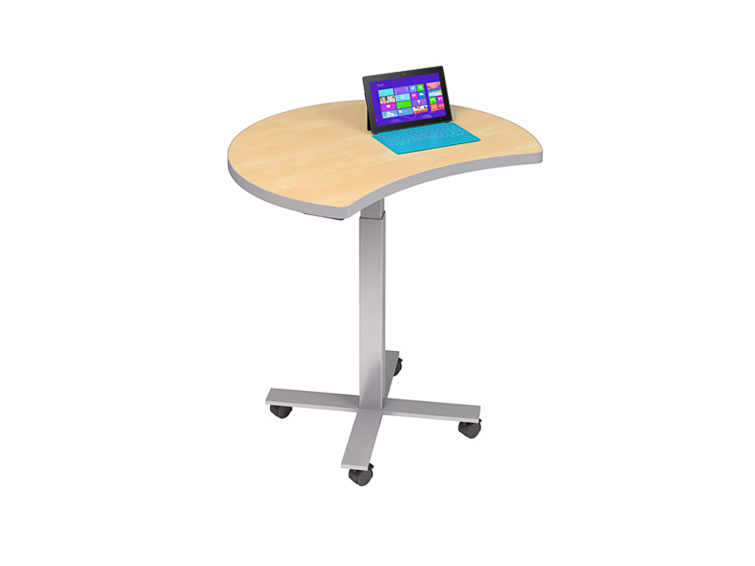 Choose from glides, casters and 2-leg or x-base options. 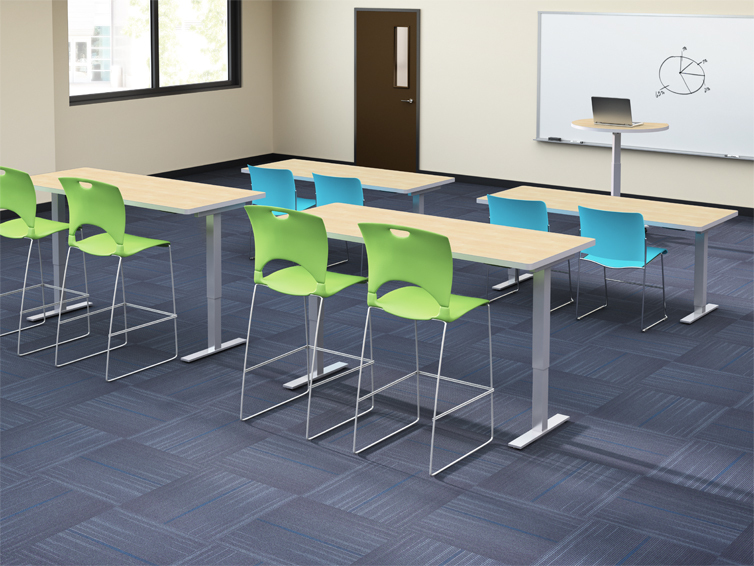 Rectangle 2-leg tables work well in classrooms, offices, and meeting areas. 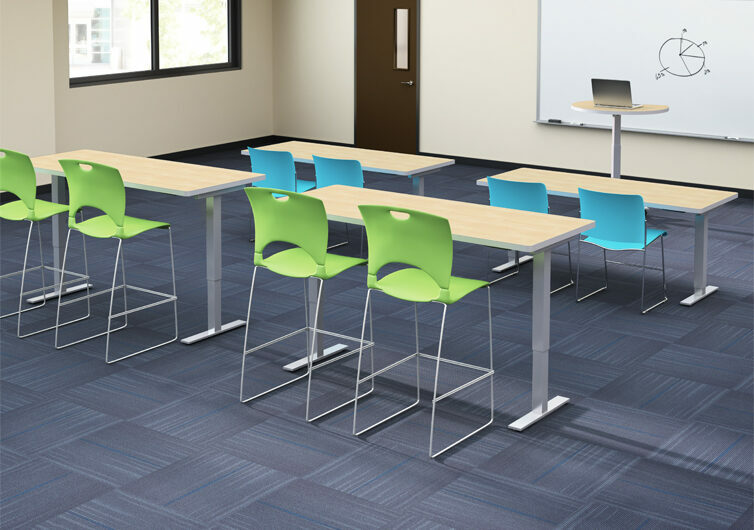 The Influence x-base is available in square, round, or eclipse work surface shapes is ideal for small-team breakouts, podiums in classrooms, break rooms, or adjacent to cubicles. 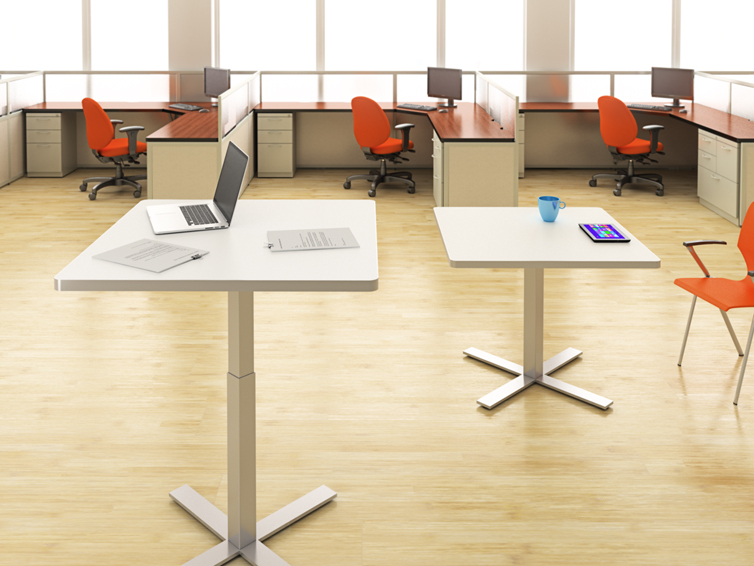 Influence tables feature two height adjustment options. The first is a crank adjustment. 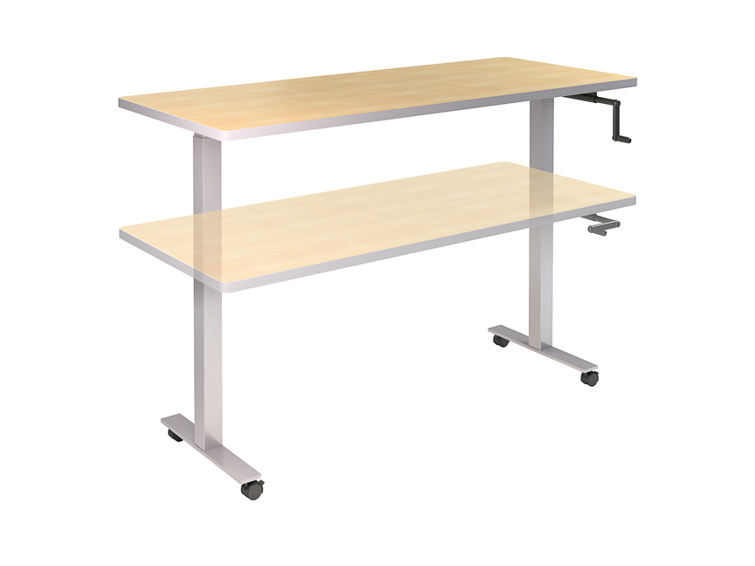 With a strong lift capacity, crank adjustable tables work well for desk applications where users may have dual monitors, monitor arms, work materials, lighting, and other work-related items on the work surface. Second is a pneumatic counterbalance adjustment with a lighter lift capability that works well for meeting, classroom, or laptop applications. 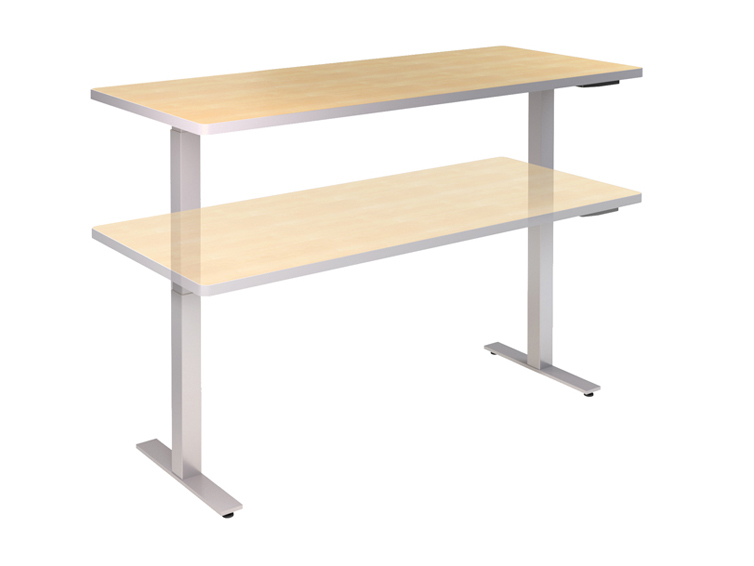 The Influence table line meets the growing need for standing desk and adjustable-height tables work-spaces. 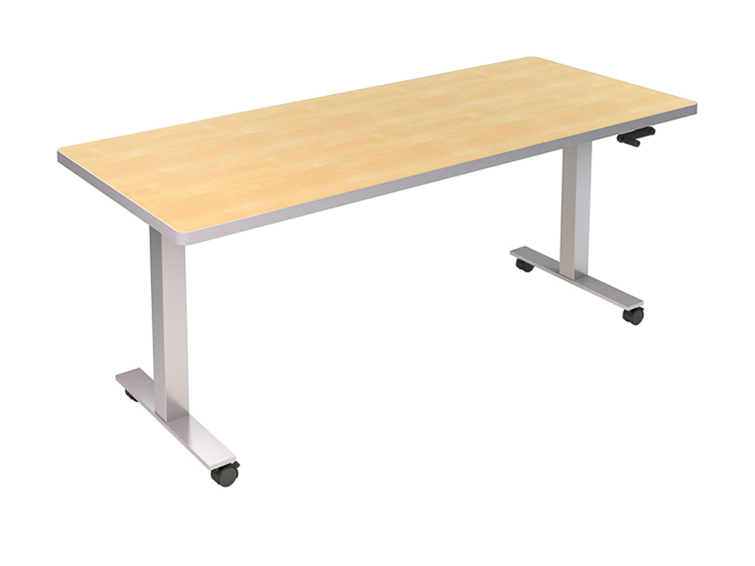 See the adjustable height tables product specs section below to download our brochures to see all available options or contact us today to design your ideal work or learning space.